Best way to find a US supplier ? I start dropshipping 3 month ago but i don't have many sold as i wish. I want to find some suppliers who want to sell their product more and more. Can you help me? Re: Best way to find a US supplier ? You could join salehoo, I think they have $1 free trial, just make sure to cancel before you get charged. Its not so simple in the USA. You need to go for smaller niche brands and try a do exclusives. In the USA they dont just sell. 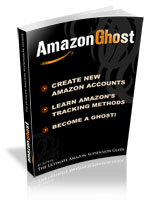 They want to make sure you can optimize your listings and they are starting to shy away from Amazon/ebay only sellers. You will need to tell them something everyone else does not. most of the US dropshipping are already on eBay/Amazon. There are just little to close to no profit doing dropshipping from them.